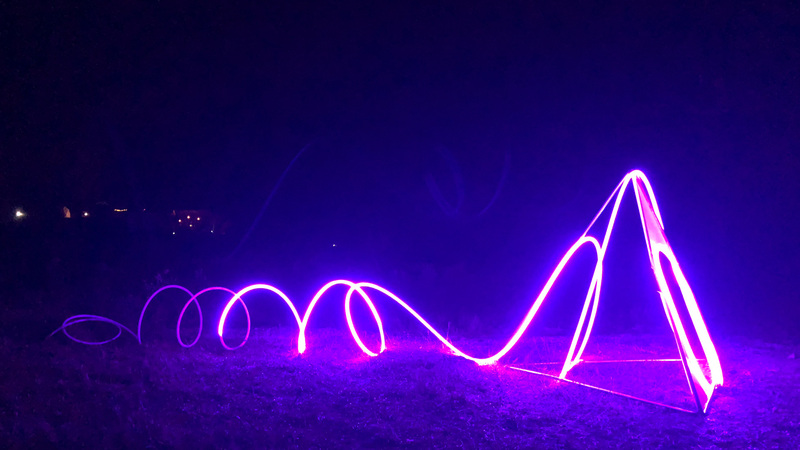 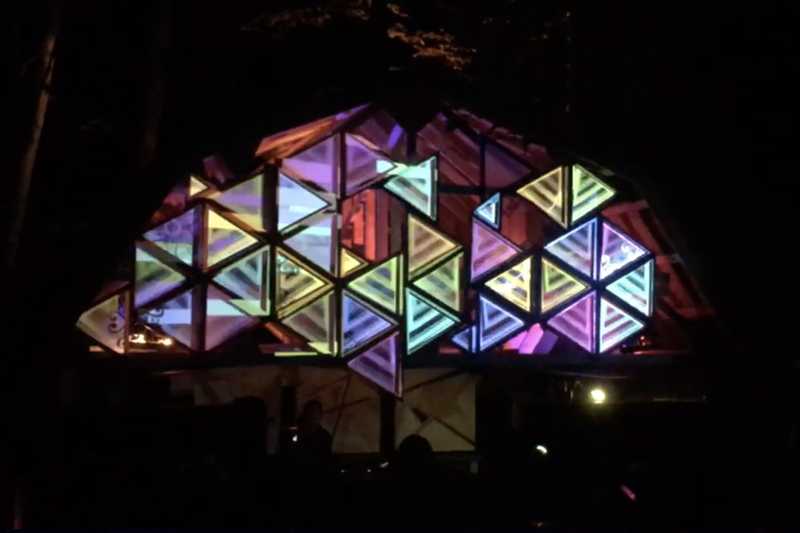 Solstice 2018 VJ Set from Pixels and Plans on Vimeo. 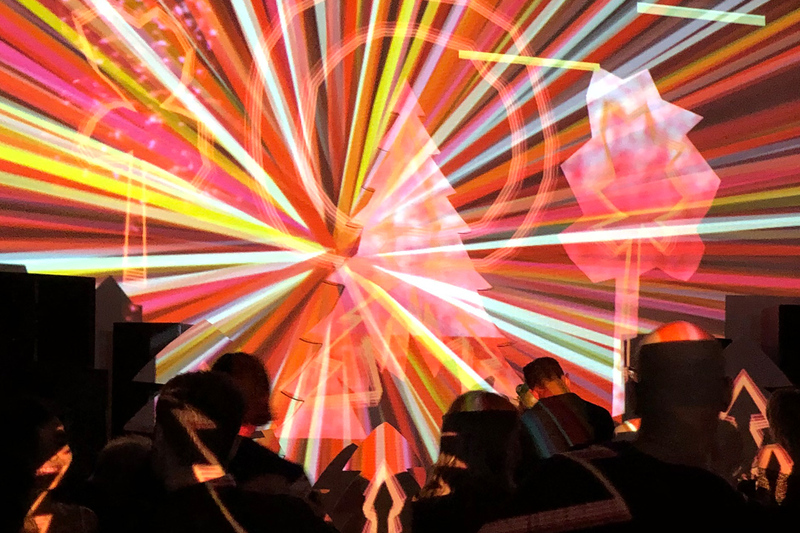 Background / We returned to the Solstice Gathering a year later to perform again. 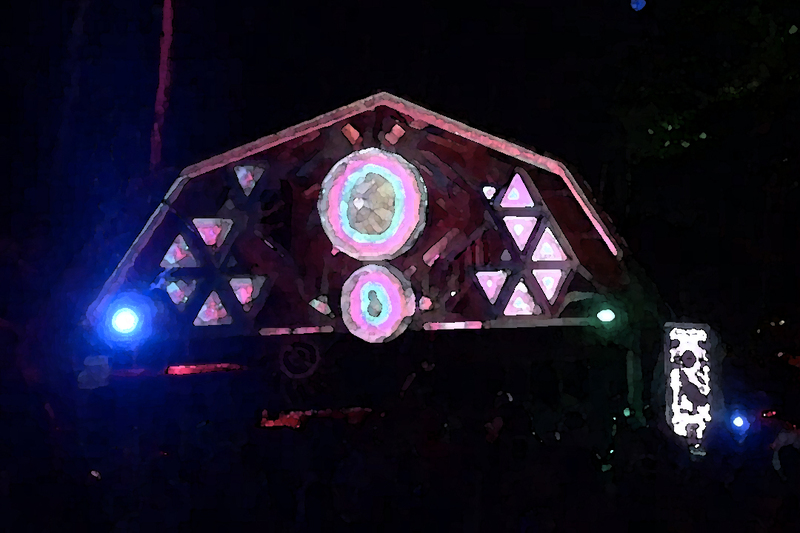 We used our custom, audio-responsive, projection mapping tool for our VJ set at the Root Stage during Solstice 2018 in Ontario Canada. 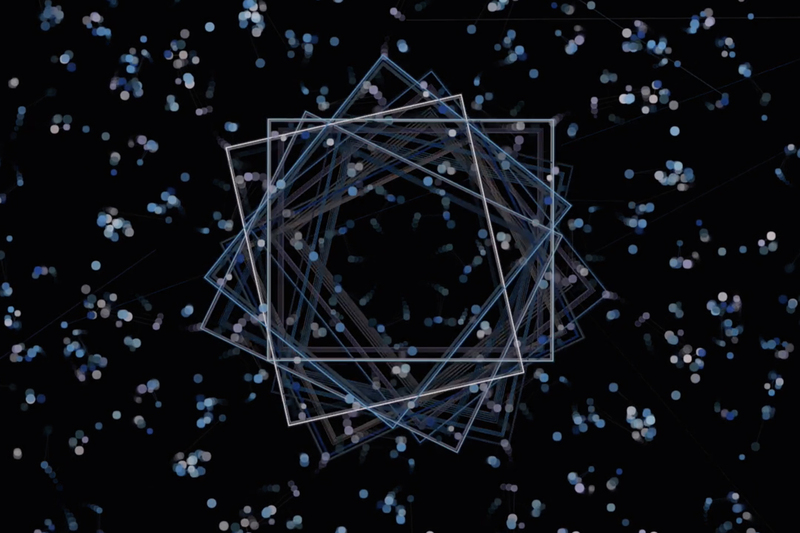 We mapped the shapes above the stage as well as the screen to the right. 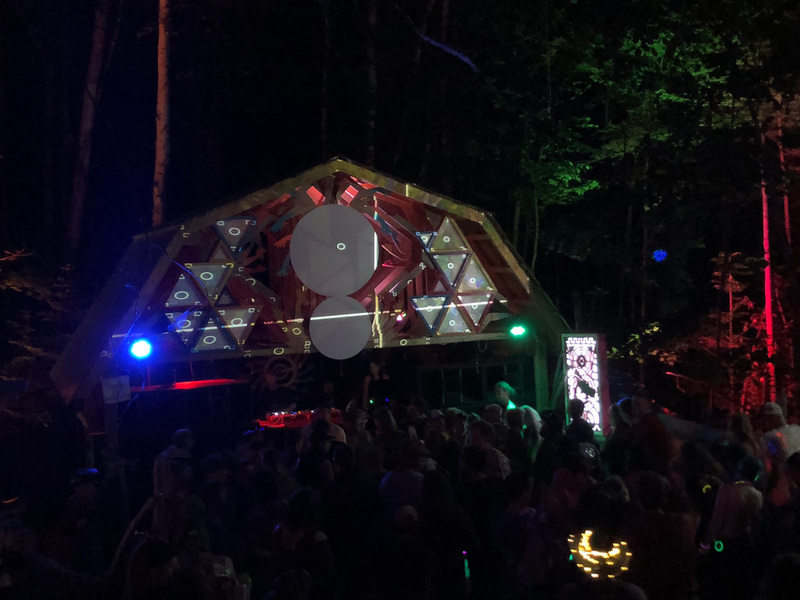 The root stage this year featured two disks in addition to the array of triangles, providing an opportunity to map curved objects.